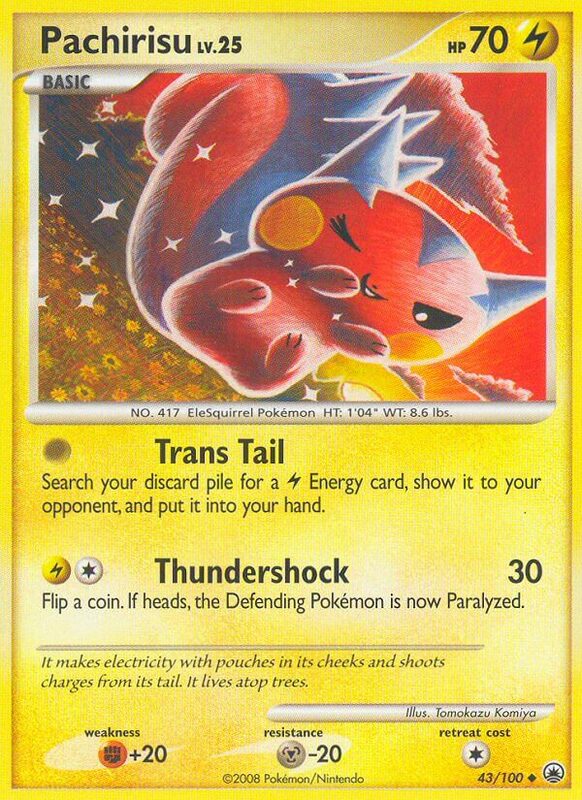 Search your discard pile for a [L] Energy card, show it to your opponent, and put it into your hand. This art is odd… it looks like some had to squish it a little bit too much to get it to fit in the frame. That’s Tomokazu Komiya for you.